Cebu Pacific Summer Seat Sale! Cebu Pacific is not yet done with the seat sale! Ready yourself for tomorrow (technically speaking less than an hour from now) summer flights are on sale!!!! HOW ABOUT Manila to Jakarta for PHP 1,899? 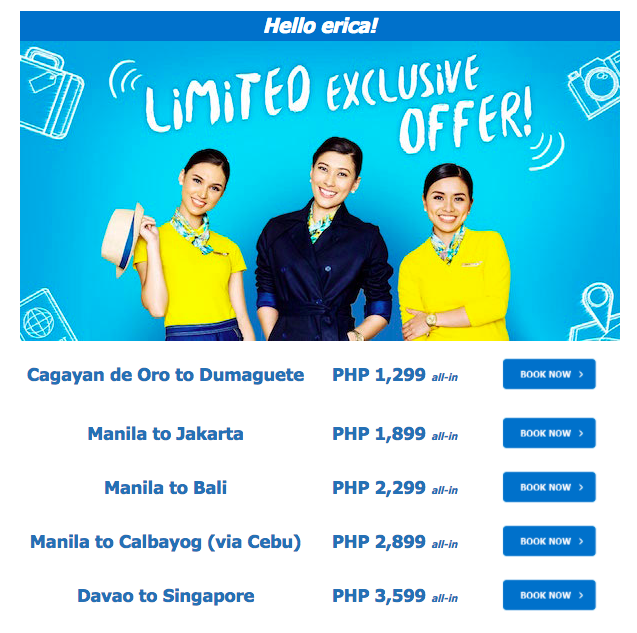 Or Manila to Bali for PHP 2,299?! Book your seats now! Sharing this flight promotion from Cebu Pacific about the summer seat sale happening tomorrow! Sale period is from March 17 to 18, while DESTINATION: PH Travel Fair happens! Travel period is from April 1 to July 31, 2018. Let us know what you think about this post! Thank you very much! Happy traveling! The Girl with the Muji Hat: Cebu Pacific Summer Seat Sale!